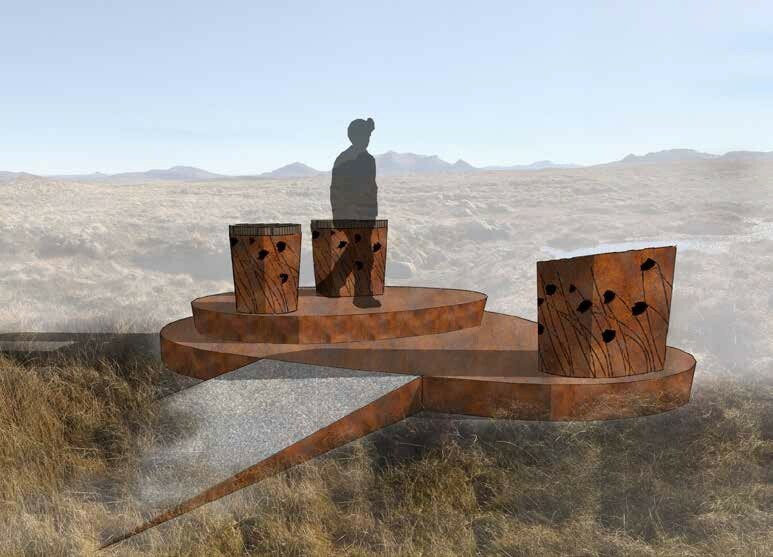 A Highland beauty spot has been chosen as the location for a corten steel viewing platform and seating drum to enhance appreciation of the surrounding landscape. Conceived by Ian White Associates the Flows to the Future; viewpoint has been commissioned by the Peatlands Partnership on the shores of Loch Rangag, heart of an extensive bog habitat extending across Caithness and Sutherland. Designated as one of the most important natural landscapes in Britain the scheme is the latest in a number of roadside interventions designed to raise awareness of conservation and climate change issues, with separate viewpoints planned for Forsinard, Forsinain, Loch Craggie, Crask and Moine House. 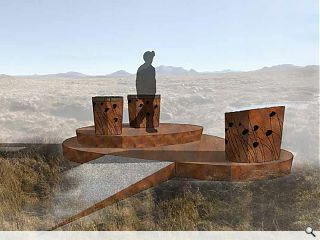 Modeled on the Flow Country brand of concentric shapes echoing map contours the scheme takes the form of a lower platform on which planed oak seating will be laid. Information panels will also be provided to aid interpretation of the vista.